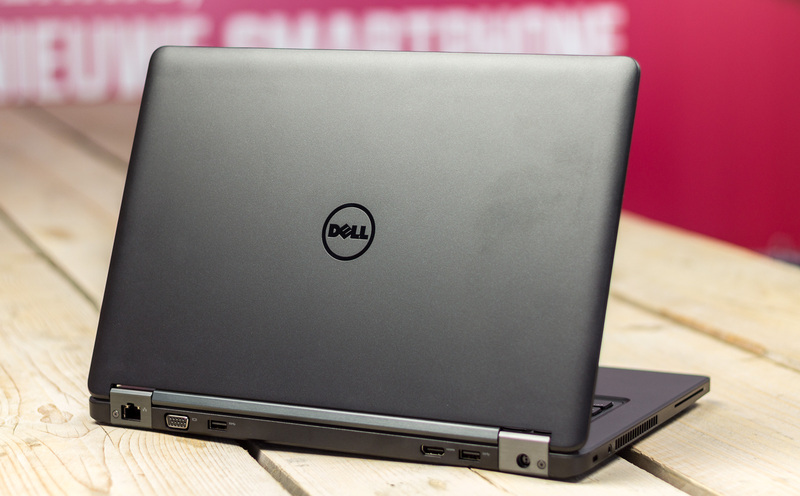 The Dell Latitude E5450 is a business laptop that has the chops to keep you productive all day long. If you are looking for a solid work laptop the Latitude E5450 will get the job done. This laptop offers a great balance between size and portability. The E5450 is marketed like a mainstream business laptop but in all actuality its an ultrabook. The screen is 14" and the laptop is just 0.9" inch thick, weighing just 3.98 pounds. It also features a dock connector that lets you use it with the Dell E-Series Docking Stations. It's the perfect notebook for alternating between travel and serious work! The Latitude E5450 has a great selection of ports, along the back you will find an Ethernet port, a VGA output, an HDMI-out port, and two USB 3.0 ports. The right side has an SD card slot and a USB 3.0 port with continuous power for charging devices. The left side of the laptop has head set jack and case lock. This laptops MSRP was over $1357. Today you can buy this E5450 work laptop for less than $300. You save 70%. That is a huge savings and it also includes our 1 year parts and labor warranty at no additional charge.